Book your Camino de Santiago holiday for 2014 by December 2013 and receive a 10% discount with CaminoWays.com, the walking and cycling holiday specialists. The Camino is about getting back to basics and enjoying the simple pleasures in life, like walking. This is what life should be about, enjoying every step of the journey, not just the destination. Walking, walking and more walking! Not many holidays will get you back home in better shape! The Camino trail has been walked by pilgrims for centuries and it was the first European Cultural Itinerary by the Council of Europe. Along the Camino, you will pass cities, towns and villages of all sizes with stunning churches, monuments and other cultural landmarks. The Camino de Santiago takes you across many beautiful landscapes, from the French Pyrenees to the lush hills and woodlands of Galicia, the vineyards of La Rioja or the coastal paths of the Northern Way. If you can walk, you can do the Camino. The walking paths are well marked (particularly along the French Way) and suitable for all fitness levels. You can also adapt the daily walking distance to your ability. Each route and each region has its flavours, traditional dishes and specialities. So make sure to sample the local cuisine along the way! You are guaranteed to make a few friends along the way. The social element makes it a great holiday for people travelling alone, particularly along the last stretch of the French Way, so you will never feel lonely! It is a fantastic family holiday for bonding and spending quality time together, whether you are walking or cycling. You will encounter many different nationalities and languages along the way, including French, German, Italian, Spanish, Basque, Galician and many more. If you have walked the Camino de Santiago along the French Way before, there are still many more routes for you to discover, all different and with their unique sites and trails. 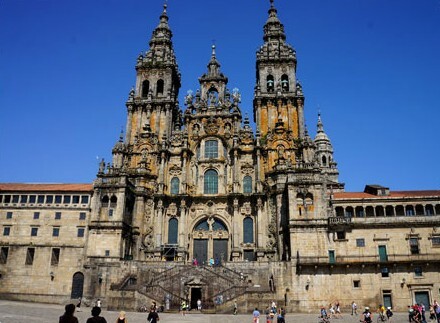 CaminoWays.com walking holidays start from €489pp (low season) for a 7-day walking holiday from Sarria to Santiago de Compostela, covering the last 100km of the Camino de Santiago. Packages are available all year round. Get 10% off if you book in 2013 to travel in 2014. Check out the CaminoWays.com video of Camino de Santiago from Sarria to Santiago. Price includes: Half board accommodation, luggage transfer from hotel to hotel and holiday pack. Price does not include: Flights, insurance, airport transfer. Start planning your Camino trip today by logging onto caminoways.com or calling + 353 (0)1-525-28-86.